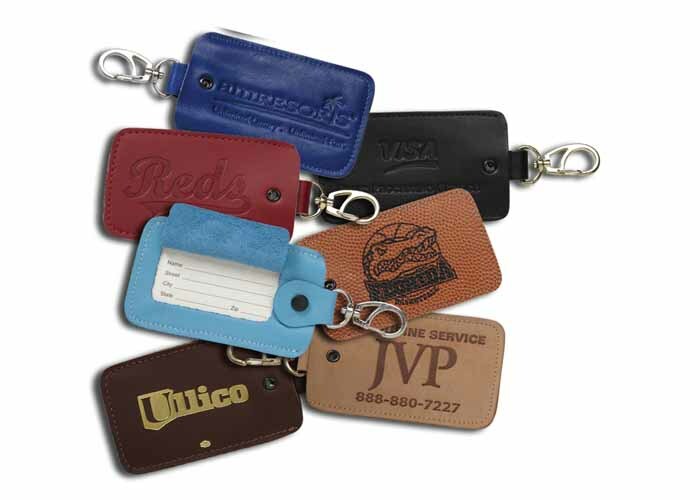 This is our best selling luggage tag. Its snap on method provides a secure and elegant look. Brass or nickel colored snap available. Protective plastic cover available for an additional $0.125(G).